CALENDAR page for more details. This is a beautiful and stimulating dance class using delightful stories, songs and props from all over the world. A wonderful preparatory dance class for your child and a special experience for the parent or caregiver to be involved. We incorporate favorite pre-school nursery rhymes and fairy tales into a creative dance curriculum influenced by the British Ballet I.S.T.D. Exquisite children’s literature and fantastical music will allow your little one’s world to be a never-ending wonderland. We offer a delightful approach to your child’s first experience with ballet and tap. As your child grows, the level of material progresses with each age group. A delightful ballet class incorporating the British curriculum from I.S.T.D. 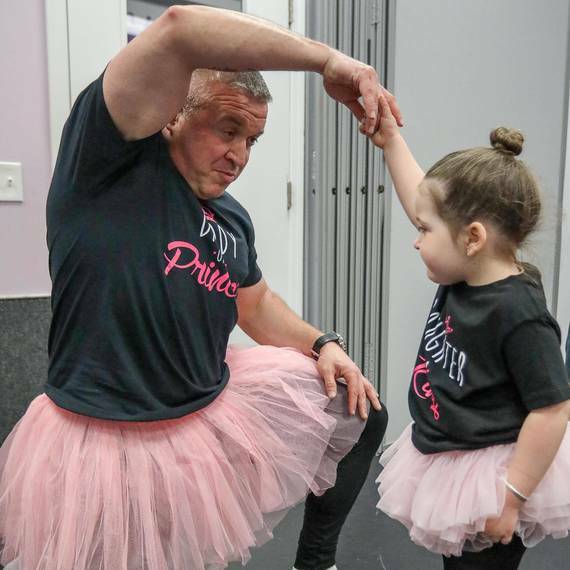 Our students enjoy progressive ballet exercises that they repeat each week building confidence and strength along with new routines and exercises. A strong focus on musicality and character interpretation with an opportunity to free dance and discover one’s own creativity. An introduction to tap to help with rhythm and style. Your child will have lots of fun in this class. 5-6 YR BALLET/TAP COMBINATION CLASSES 50 MINS. Our ballet students will progress to the barre and start to build on their previous knowledge of ballet. With a gentle approach to technique in both ballet and tap and a progression in center work, your little one will really begin to feel like a professional dancer whilst still having a fun atmosphere in the classroom. We always finish this class with free dance. Recommended ages for levels: 6-8 level 1 or beginners, 8-10 level 2 or intermediate, 11-16 level 3 or advanced dancers. We introduce the fundamentals of classical ballet through the esteemed British syllabus created by I.S.T.D. A combination of traditional European ballet curriculum, with a progressive and professional approach to classical ballet. Each age level progresses with difficulty as the student grows. We recommend that dancers at this age study both ballet and jazz. An exciting and age-appropriate, cool class set to the latest pop and R & B tracks. Fun & high energy, stretching and limbering warm-ups, funky routines and the latest choreography. Hip hop classes are ideal for students who just love to dance and get down! Many of our teachers are brought in from NYC and are professional dancers in the industry! A boys only hip-hop & tap class, incorporating stretching, strengthening and cool routines. Building strength & confidence in boys who love to dance. JAZZ 5 YRS-TEENS 45-60 MINS. The Jazz Program is perfect for those students who have the strength, passion and ability to take their dance training to the next level. We focus on building technique and style through a progressive syllabus. Includes warm up, across the floor combos covering leaps and turns, and jazz routines in the style of Broadway, Lyrical, Modern, Contemporary and Funk. Our teen classes are cutting edge & challenging. Singing, acting & dancing featuring a famous classic musical every term. All of our children are highlighted equally in our productions with special attention dedicated to help each child grow through this wonderful theatre experience. Each class culminates in a wonderful performance in a theatre at the end of the term. MODERN (Grade 3-4, 5-7 & Teen) 60 MINS. Modern & Contemporary are vital for those students who wish to dance in college. We focus on building technique and style through a progressive syllabus influenced by Limon, Horton and Graham. Includes warm up, across the floor combos covering leaps and turns, and combination work. Our teen classes are cutting edge & challenging. A great time to be had by all as your child learns about teamwork through song & dance. Your “pop idol” in training will explore pop music, choreography, singing harmonies, and will even design costumes as if they were in a real pop group. A fun, up-beat class. We offer Summer Camps for ages 2- 17 years to our students every year filled with amazing activities that will keep your child happy. Camp schedule out in Feb, check with our office for a registration form. Download our Summer Camps flyer HERE. You can also register for our Summer Camps on our registration portal HERE. If you have any questions give us a call or send us an email and we’ll answer any questions you may have! Don't Wait And Call Us Today! Get a FREE class. It’s on us! We’re open for 2018 Registstration! You Will Love Our Offers! We are proud of our Dance Studio and want to provide the best experience for your child. Here are some features that we are proud of at Penny Lane Dance Studio. Penny Lane’s classes are known for being magical and inspirational. 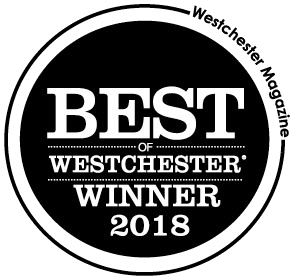 With a successful studio in Los Angeles, and now one in Westchester New York, we are becoming a parent’s first choice in dance education from coast to coast. We have a creative curriculum that promises to keep your child filled with wonder and joy. It is our philosophy that learning should be fun. Penny Lane understands little minds and manages to create a perfect balance between dance education and fun. With our traditional and untraditional classes, we provide a home for all children. We are known as the “hip and happy dance place” which is always reflected when you hear giggles and joy coming out of our classrooms. Our staff is warm and thoughtful and we are here to help your child expand their imagination and move their bodies in a positive and healthy manner. I am writing to tell about the extraordinary attention my daughter, Alexandra, has received at Penny Lane Dance Academy under the guidance and tutelage of Andi McCormack. My daughter began ballet and tap with Miss Andi in 2000. She was only 2 years old. Andi introduced and opened a world of dance to Alex by encouraging, complimenting, modeling, and asking her to pretend she was a princess, the wind, a fairy, a feather, etc. It was joyful for me to watch, and Andi gave Alex the greatest gift, "HOPE" for a wonderful future in the art of dance. Fast forward ten years. 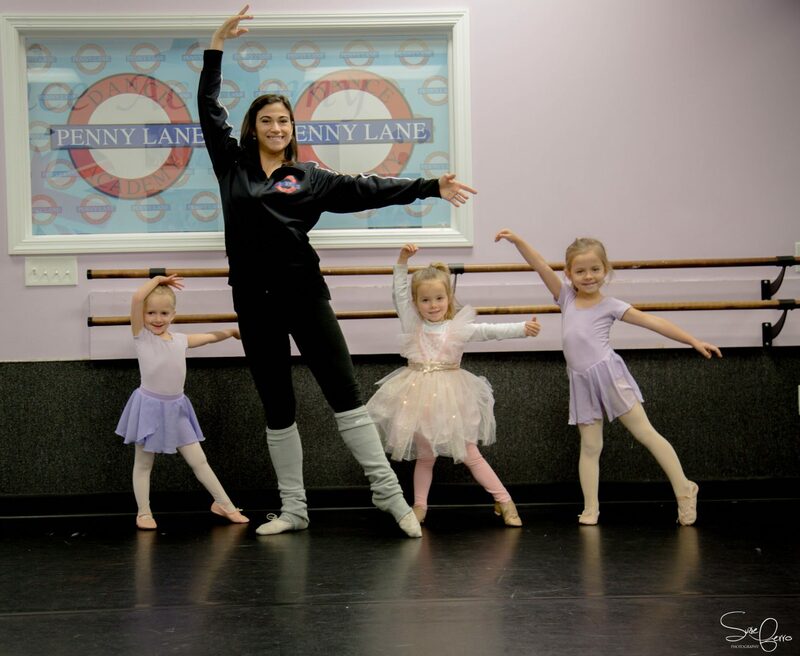 Although Alex's school has offered ballet every year since 1st grade, she has still continued to take dance classes with Penny Lane. My child loves taking tap and hip hop besides ballet. If someone is looking to give a gift to a young girl, I highly recommend taking classes at Penny Lane with Andi. She is caring and loving towards every child. She knows how to work with girls and boys who know what they want and those who need encouraging. Her interpersonal skills with both parent and child are exemplary. We love her and all her staff. I like to dance ballet with Miss Lucia because it makes me feel beautiful inside and out. My daughter has been dancing (and sometimes singing) at Penny Lane since they first opened in Somers 2009. She loves each performance whether at Madison Square Garden or Somers Manor Nursing Home. She's learned the importance of dedication and attention to detail, and those skills have carried into her studies as well. Gracie is looking forward to dancing at Penny Lane until she graduates from high school. Our girls have danced at Penny Lane since they were two-years-old. Not only do they love it but, as parents, we can't say enough about the quality and appropriateness of the instruction, teachers, and performances. We take great pride in being a part of the Penny Lane family. Penny Lane Dance Academy's summer and winter program was so amazing that my 3 daughters can not wait to go back and dance with Miss Andi in the fall! My three daughters have been part of the Penny Lane family for many years. We first came to Penny Lane because it was such a great environment for the little ones. But my older daughter also found a home on the dance team where she stayed through high school. Now my youngest is on the team as well and she could not be happier!